The all-glass, multi touch display gives you access to every feature via convenient and intuitive slide-out menus. Slide your finger down from the top of the display to select Quick Pages, including your favorite custom display modes, with a single tap. Slide out from the left to view customized Data Boxes. Slide up from the bottom to quickly adjust your layer settings. Finally, slide your finger out from the right side to instantly access the menu functions you use the most. Tap or double tab the display with two fingers to capture a screen shot or perform other customized functions. Everything in the menu is intuitive and contextual, so the content relates to the current display mode. 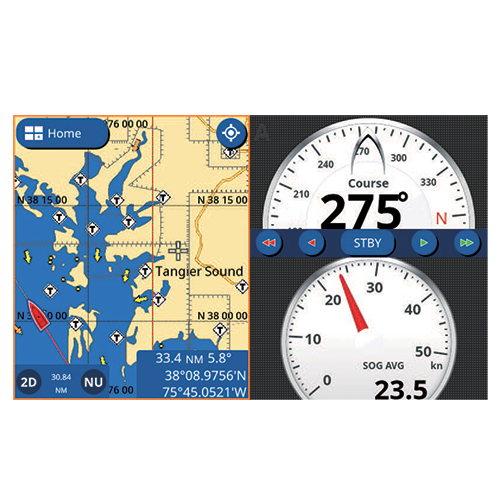 The Chart Plotter utilizes full-featured C-Map 4D charts. 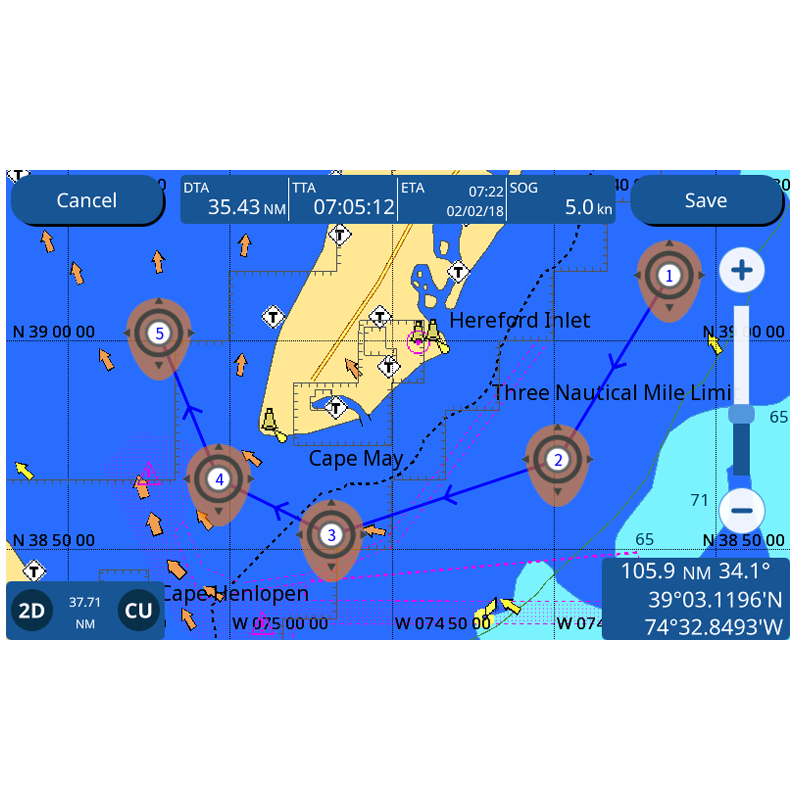 C-Map 4D empowers you with plenty of useful data that you can overlay onto a rich vector chart, such as relief vectors, tidal streams and marine plans, significantly boosting situational awareness. Creating routes and waypoints is as simple as touch-and-go. When connected to an AIS receiver, you can see valuable AIS data on the display. C-Weather, which provides downloadable wind, wave, weather, humidity and temperature information to add to your planning, is another standard feature. The unit includes a built-in TruEcho CHIRP, as well as a conventional Fish Finder, transmitting at 300W, 600W or 1kW. 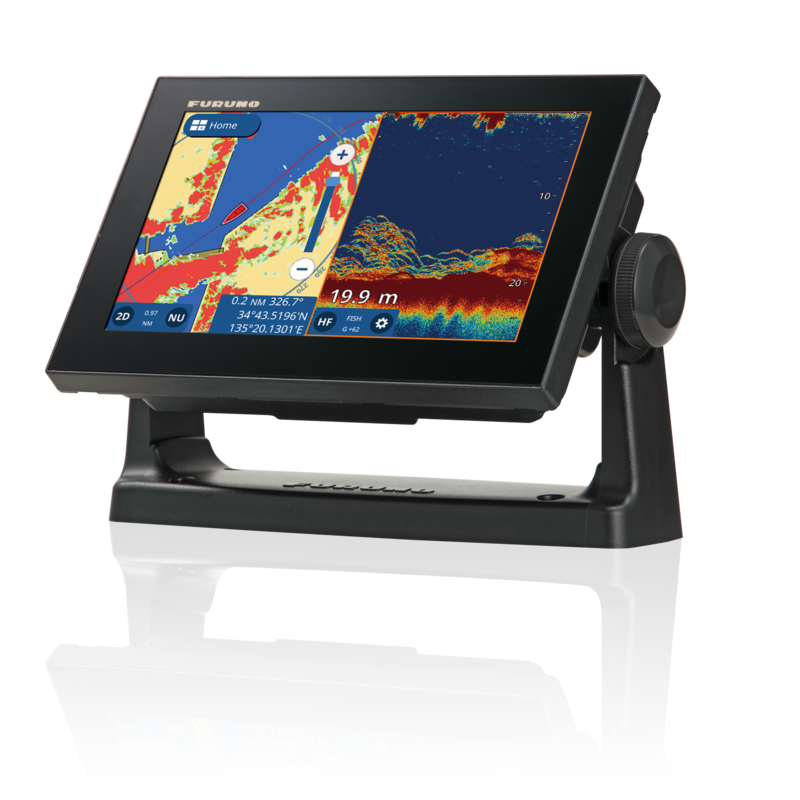 Simply tell the unit what transducer you are using and it will select the type of Fish Finder to use. The TruEcho CHIRP transmits across a spectrum of frequencies, delivering an incredible amount of detail and clearly marking individual game fish and bait fish. 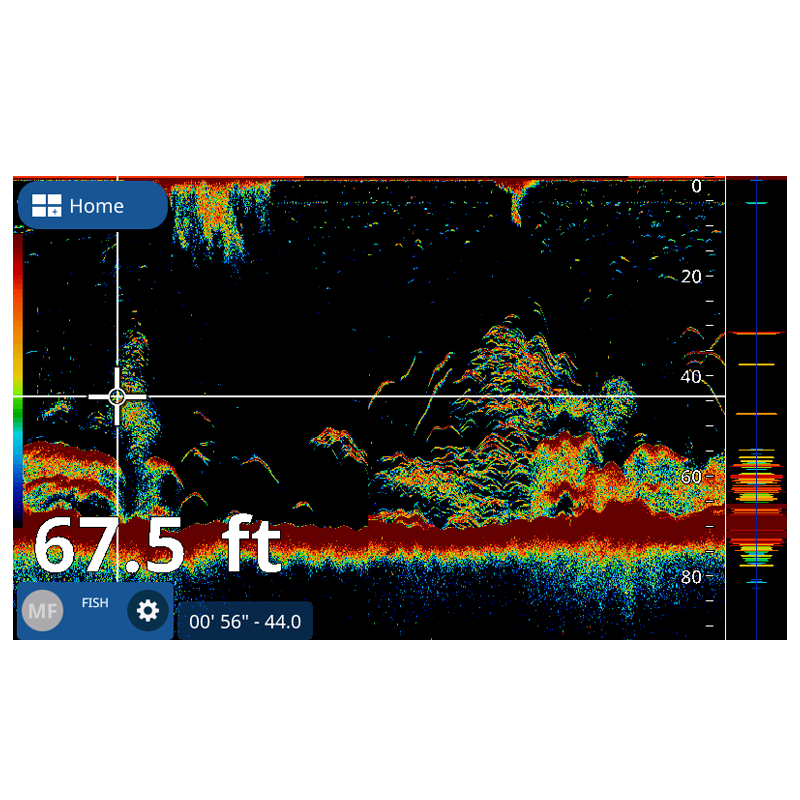 The conventional Fish Finder includes RezBoost data processing for an ultra-crisp, high-resolution picture. 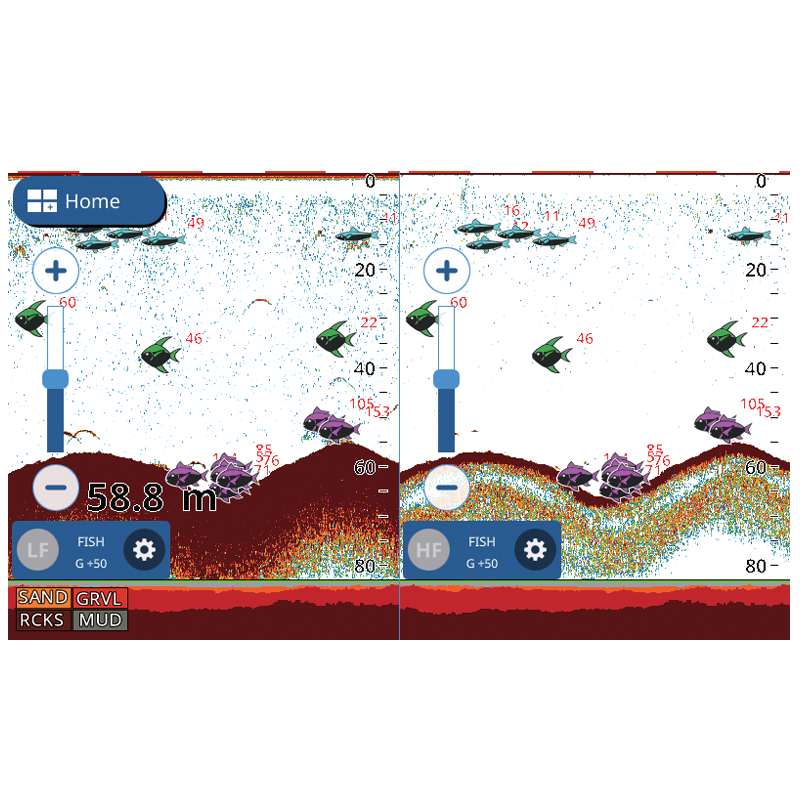 Other features include ACCU-FISH fish size assessment, and the highly useful Bottom Discrimination function to help you find the most productive fishing grounds. Radar can be overlayed onto the Chart Plotter display via wireless connection to the Furuno DRS4W 1st Watch Wireless Radar. The DRS4W’s wireless configuration makes it a breeze to add the compact 19" Radar dome to any vessel. 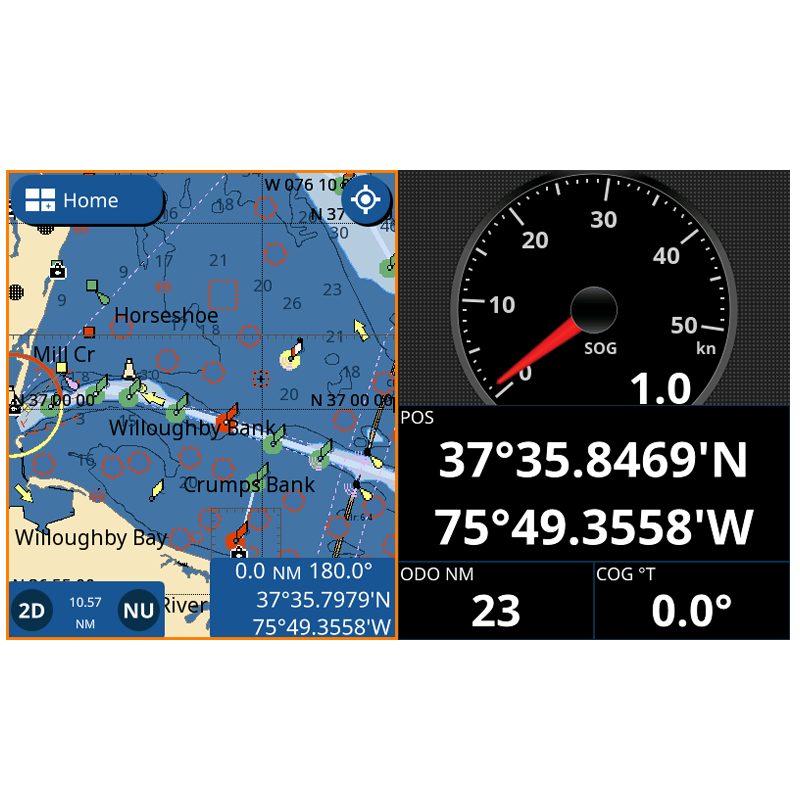 The DRS4W can also display the Radar presentation on a connected smart phone or tablet, offering a major upgrade in safety and versatility. Via the CAN bus network interface, The NAVpilot 300 and NAVpilot 711C can be connected to the GP1871F and GP1971F and controlled directly from the Chart Plotter. These transducers enable all standard Fish Finder features, but DO NOT support Bottom Discrimination. To utilize the Bottom Discrimination mode please select a transducer from the "Bottom Discrimination Transducers" list.